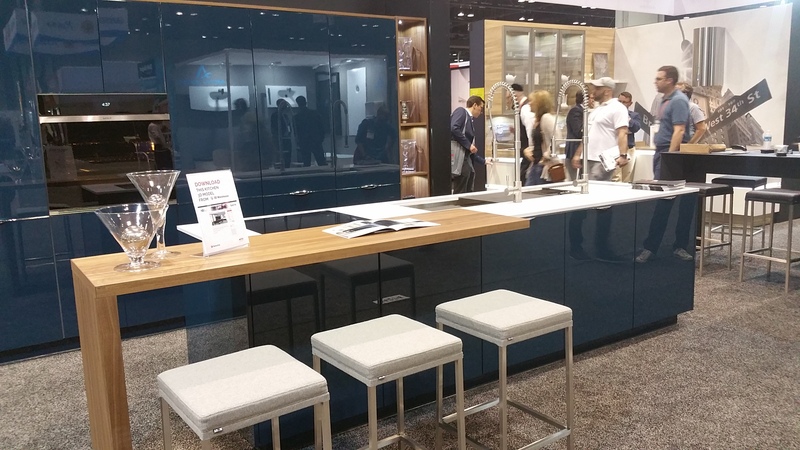 RUST AT THIS YEAR’S KBIS AMERICAN FAIR – THE KITCHEN & BATH INDUSTRY SHOW IN FLORIDA. The latest products and the most interesting trends in Europe and the US, could be seen during this year’s edition of the American fair KBIS – The Kitchen & Bath Industry Show in Florida. It is an event of international scope, taking place for over 50 years alternately one year on the east and the other on the west coast of the USA. The main goal of the event is to present the latest trends in the field of kitchens and bathrooms interior design. This year the KBIS Florida fair gathered over 500 industry leading manufacturers of interior design from around the world. They presented the trends in kitchen and bathroom for 2017. This type of fair is one of the best places to establish new business contacts, to show new products and get some inspiration. This year, RUST second time in its history, took part in KBIS fair; this is the first time in Orlando, Florida (in 2016 RUST has participated in the KBIS fair in Las Vegas). The company showed the latest innovations created by the RUST brand designers dedicated to the American and Canadian markets. Patryk Rust – Export Director of Mebel Rust, has commented: “We presented the kitchen and bathroom furniture made of fashionable materials such as antiquated oak veneer, lacquer finish stainless steel, aluminum elements (fronts, handles) in black and chrome, grip-less systems with integrated LED lighting. The presented Galley Sink working-and-cleaning station is also noteworthy ( The sink with a length of nearly two meters), which at the moment is not available in Europe, while in North America, it is becoming a more desirable solution in the kitchen. We have presented top solutions of our regular partners – the Kesseböhmer company (Peka) and Blum company. The visitors, for whom the European design is an indicator of emerging trends in the market, have shown great appreciation towards the furniture. We were able to acquire new contacts which will certainly result in interesting projects.”.